Shigeo Shingo (Shigeo Shingō; 1909 – 1990) was a Japanese industrial engineer specialized in quality control. He is known for various quality techniques concepts such as Poka-Yoke, Mistake Proofing, SMED, Just in Time Production, and Jidoka. His contributions to quality improvements have significantly influenced western manufacturing approaches. Shigeo Shingo was born in Saga, Japan. 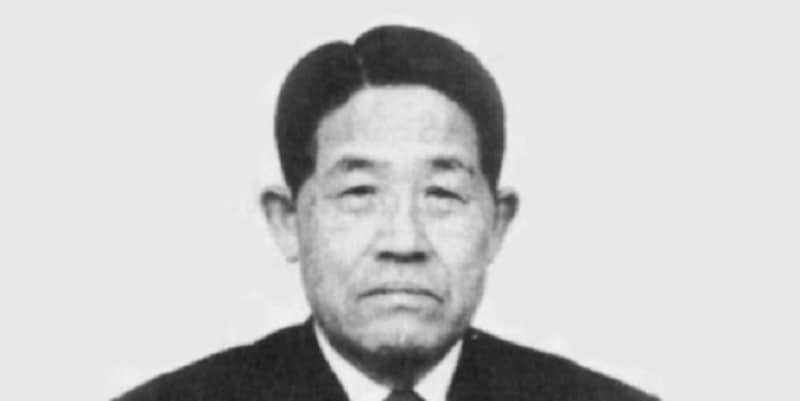 He first attended the Saga Technical High School and later studied industrial engineering at Yamanashi Technical College and graduated in 1930. He soon began working as a technician for Taipei Railway Factory after his study. Shigeo Shingo was in this time responsible for measuring the efficiency of the production process, including the employees. He soon observes that the production process has not maximized its production output yet, and for this reason, it does not run efficiently. Shigeo Shingo next decided to study and practice various incentives to optimize the production. His achievements at Taipei Railway Factory was the start of for which he is today known. Shigeo Shingo later worked for the Amano manufacturing plant in Yokohama as a Production Manager in 1943. His work was highly valued because doubled the productivity at the manufacturing plant. In 1945, after the Second World War, Shigeo Shingo started working as a consultant for the Japanese Management Association. In his position, he advised various industries and factories about how to improve the management and the production process. Examples of companies with which he worked are Mazda and Mitsubishi Heavy Industries. Yoke in 1961. The Poka-Yoke was not fully developed yet, but by 1967, Shigeo Shingo advanced the concept so that no errors occur. His work and contribution were outstanding, and it started raising public awareness. As a consequence, Shigeo Shingo was awarded the Yellow Ribbon Medal in 1970. The award is given to individuals who through their diligence and perseverance while engaging in their professional activities become public role models. By 1977, Shigeo Shingo identified that to achieve zero defects in an operational process; it is crucial to take into account the human aspect in the dynamics of the factory. It is what other mechanical engineers lacked previously and what he took into consideration. Shigeo Shingo moved to the United States in 1980. During this time, Japanese cars recently entered the American market, and they performed better than American cars, both in quality and in price. Shigeo Shingo was in the United States one of the few people that understood the Japanese quality control system, and as a consequence, he translated the book ‘A Study of the Toyota Production System’ into English. Since the Japanese quality concept was mainly unknown in the United States, he further popularized these concepts. Shigeo Shingo additionally provided lectures, and he assisted American and European firms in implementing quality techniques in their manufacturing processes. He also wrote several books and papers on manufacturing. Shigeo Shingo’s work was recognized in the United States. For this reason, The Shingo Prize was created as a tribute to Shigeo Shingo. The award is given to individuals that have achieved excellence in manufacturing. His work has also influenced modern manufacturing fundamentals which today are commonly used. “The most dangerous kind of waste is the waste we do not recognize. Publications and Books by Shigeo Shingo et al. 2017. The sayings of Shigeo Shingo: Key strategies for plant improvement. Routledge. 1996. Quick changeover for operators: the SMED system. Productivity press. 1994. Construction of a human full-length cDNA bank. Gene, 1502, 243-250. 1992. The Shingo Production Management System: Improving Process Functions Manufacturing & Production. Productivity Press. 1989. A study of the Toyota production system: From an Industrial Engineering Viewpoint. CRC Press. 1988. Non-stock production: the Shingo system of continuous improvement. CRC Press. 1987. The saving of Shigeo Shingo. 1986. Zero quality control: Source inspection and the poka-yoke system. CRC Press. 1985. A revolution in manufacturing: the SMED system. CRC Press. 1982. Study of’Toyota’Production System from Industrial Viewpoint. Japan Management Association. 1981. The Toyota production system. Tokyo: Japan Management Association, 52. 1977. Fundamental principles of lean manufacturing. Enna Products Corporation.